FAMILIES face a minimum 15-fold hike in the carbon tax unless the Government introduces new policies to reduce emissions and tackle climate change. New analysis from the Economic and Social Research Institute (ESRI) says taxes will have to rise from €20 per tonne at present to at least €300 by 2030 to allow the State meet stringent EU fines. If imposed, the changes will result in hefty increases in home heating bills and motoring costs. Unless the Government introduces a raft of new policies and begins taking action on climate, hikes in the carbon tax will be needed, the ESRI suggests. Ireland is required to reduce carbon emissions by 20pc over 2005 levels by 2020 to comply with EU rules. It is not expected to reach this target, and the European Commission is expected to impose fines or force the State to buy permits to compensate. The bill is likely to run into millions of euro. However, more onerous targets are also on the way, with the State required to reduce emissions by 30pc by 2030. The new ESRI analysis using the ‘Ireland, Environment, Energy and Economy Model’ (I3E) says hikes the carbon tax will be needed to meet the targets – a move the Government shied away from in last month’s budgets due to political pressure. The ESRI model suggests that under current policies, dramatic hikes will be required. It based its analysis on four scenarios – the first included the carbon tax remaining at the current level of €20 per tonne. In this scenario, both 2020 and 2030 targets were missed. 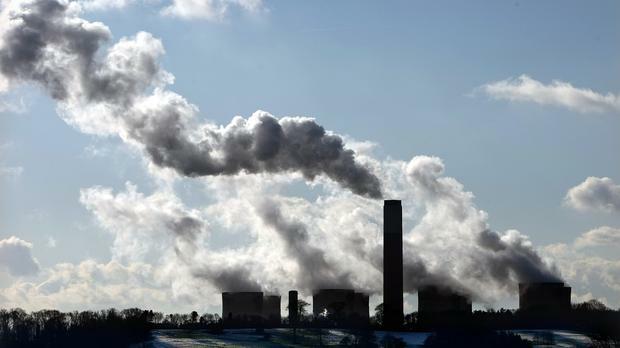 Even a third, more stringent, carbon tax proposed by the Environmental Pillar group – which called for a €70 tax next year, rising by €5 a year – the targets were also missed. It suggested that if agriculture reduced emissions at the same rate as the rest of the economy, the carbon tax will have to increase from €20 at present to just under €50 by 2020 and €300 by 2030. If agriculture did not play a role, the tax would need to increase to around €150 by 2020 and €470 by 2030 if the State was to hit its targets. “When you consider it in relation to the existing carbon tax it is just jaw dropping,” she said, adding that carbon taxes were higher in other countries than Ireland. “It’s safe to say the €20 carbon tax isn’t going to cut it,” she added.